The first thing to do is to insert the battery in the printer, charge it and pair the printer with your tablet. To do this press and hold the POWER button and FEED buttons on the front of the printer simultaneously for approximately 5 seconds. This enables you to change the printer mode setting. The red error lamp LED will flash 5 times and if successful the printer will emit a double beep and then print its settings. If the printout reads "PORT = Bluetooth (iAP)", repeat the process. The printout should now read "PORT = Bluetooth" as shown below. Tap the Settings icon on your device and then select Bluetooth. Tap the Scan/Refresh button on the top right of your screen. The tablet will start scanning for all nearby Bluetooth devices. When you see your printer listed tap on it to pair your device with it. If prompted for a PIN when pairing the default PIN is 1234 and the default device name is ‘Star Micronics’. For a table of Bluetooth settings please visit pages 11, 12 and 13 at the following link. From the left navigation panel select peripherals. A screen will appear listing any configured printers you have. In this new screen press the ‘Add Printer’ button. A new popup appears. Select Bluetooth and you'll see 'Star Micronics' in a blue box. Tap on that and press 'Next' as shown below. A new window appears prompting you to select printer type. Select ‘Star Mobile 2 inch (SM-S230i)’ from the list and then press the ‘Use this printer’ button. 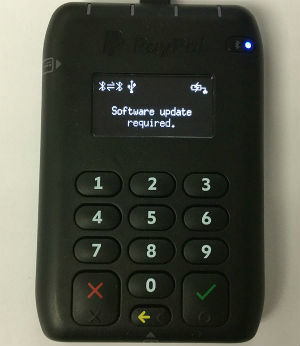 Run a test print to be sure everything is working OK.
Now that your printer is connected the next step is to setup your PayPal Here ‘Chip & PIN’ card reader (if applicable). Pair the card reader with your Android tablet. Go to the settings on your tablet and turn on Bluetooth. Select your PayPal Here card reader from the list of available devices to pair it to your device. 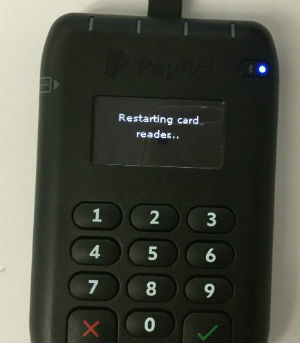 The cardreader will be listed as ‘PayPal’ plus the last 3 digits of the serial number (S/N) printed at the top of the device. Press the 'Bluetooth Connectivity' button near the top right of the reader until it starts to blink. Go to the settings on your tablet and turn on Bluetooth. Select your PayPal Here card reader from the list of available devices to pair it to your device. 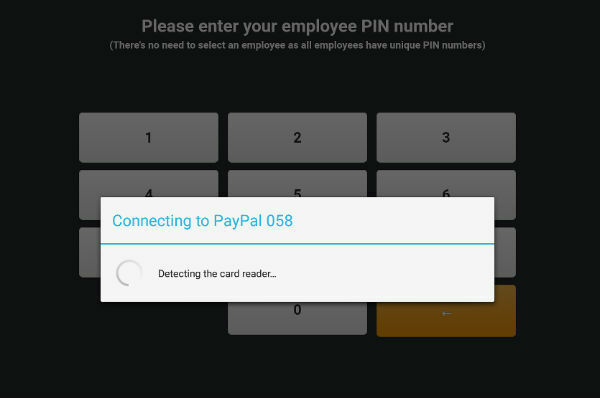 The cardreader will be listed as ‘PayPal’ plus the last 3 digits of the serial number (S/N) printed at the top of the device.Having set up your account and paired your payment device with your tablet the next step is to set up payments on your device.Having set up your account and paired your payment device with your tablet the next step is to set up payments on your device. 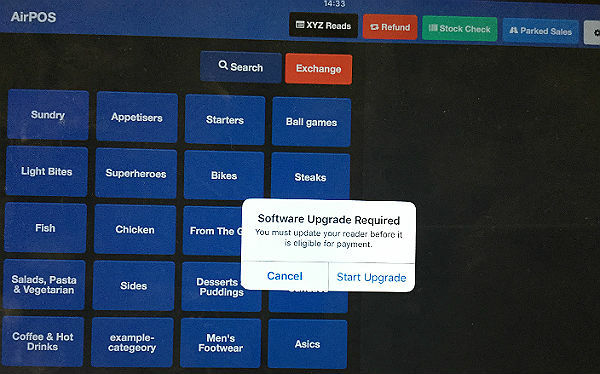 The display on the card reader and the popup on the POS will prompt your customer to insert or swipe his card or if contactless to tap it on the card reader.